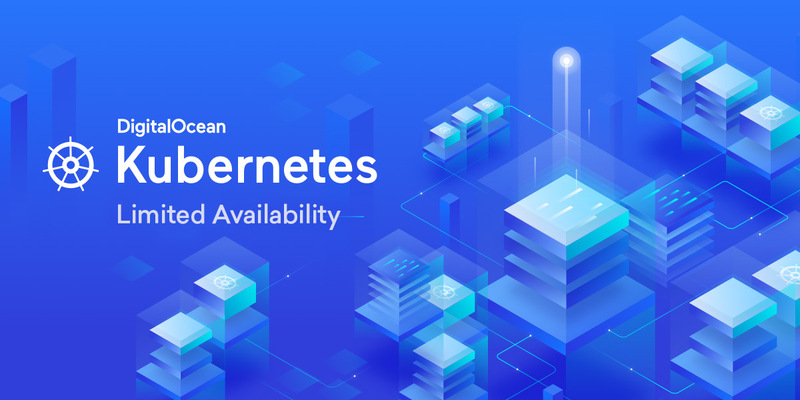 We are excited to announce that today DigitalOcean Kubernetes graduates from Early Access to Limited Availability. DigitalOcean Kubernetes helps you quickly provision a Kubernetes cluster and use cost-effective Droplets as your worker nodes. From Early Access, we heard from users who valued how simply and quickly you can configure and provision a cluster, often within a few minutes, and begin deploying and running your containerized services. We also gained a lot of valuable insight about the types of workloads users deploy to Kubernetes, as well as the types of issues and feedback that only unbiased users of the product could uncover. We used those learnings to increase reliability significantly and resolve a number of bugs to improve the user experience as a whole. During Early Access, we had a limited set of hardware resources for users to deploy to, free of charge, and that restricted the total number of users we could provide access to. In this next phase of development, we will open up access to anyone who requests it. DigitalOcean Kubernetes will be a paid product during Limited Availability, and you will be able to provision Droplet workers in many more of our regions with full support. If you just want to test out your containers in an orchestrated Kubernetes environment, you can start with a single node cluster using a $5/mo Droplet. As you scale your applications, you can add worker pools of various Droplet sizes, attach persistent storage using DigitalOcean Block Storage for $0.10/GB per month, and expose your Kubernetes services with a public IP using $10/mo Load Balancers, which is a highly available service designed to protect against application or hardware failures while spreading traffic across available resources. We’re excited to learn from a much wider group of users to ensure we are building the best possible product and will be working through our backlog of signup requests over the course of this month. If you signed up for Early Access, you will receive an email shortly with details about how to get started and you will see a new Kubernetes navigation item in your DigitalOcean Control Panel. If you haven’t signed up and would like to be a part of Limited Availability, please sign up below and we will provide access as soon as possible. Happy coding!